Samoa made the most of their opportunities to score four tries against island rivals Tonga for a 27-13 win in the Pacific Nations Cup on Tuesday. 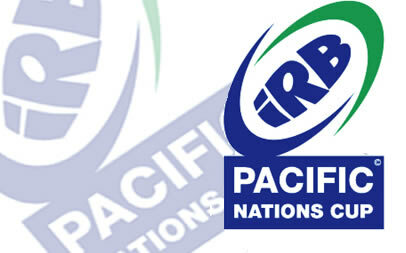 Their bonus point victory was Samoa’s second in three matches in the five-nation tournament, and will ensure they remain in second place going into the final game against Fiji at the weekend. Tonga’s forwards built up a dominance of territory and possession, but then failed to take advantage as they lacked coherence in attack compared with the more composed Samoans. Tonga dominated the first half but were unable to breach their opponents’ line and paid the price. Samoa scored their first try through lock Joseph Tekori after five minutes, when he stole the ball from the breakdown to run 25 metres to touch down. They added their second six minutes from the break from a quick tap penalty which saw the ball swung through the backline to inside centre Seilala Mapusua, who spun out of a desperate tackle to score. Tonga stayed in touch with two first half penalties from flyhalf Pierre Hola, while captain Nili Latu and fellow flanker Hale T.
Pole were at the centre of the action but Tonga lacked backline punch and went into the break 10-6 down. In the second half Samoa threatened to run away with the match with two converted tries inside the first 15 minutes to stretch their lead to 24-6. Winger Sailosi Tagicakibau finished off a move in the first minute after a strong run from flanker Ofisa Treviranus breached the defence, while halfback Junior Poluleuluigaga latched on to a speculative kick to add the second. Tonga soon reduced the deficit to 11 points through a converted try from replacement forward Teu’imuli Kaufusi and piled on the pressure. But as they pushed for a try in the final minute they lost the ball on the Samoan line, a testament to another lost opportunity.